Native plants are increasingly used for gardening, landscaping, and restoring and reclaiming native plant communities. They can provide natural beauty, cost-effective landscaping alternatives, environmental services, and habitat for wildlife. This web site provides resources for Minnesotans interested in learning more about how to use native plants for small-scale landscaping or gardening. 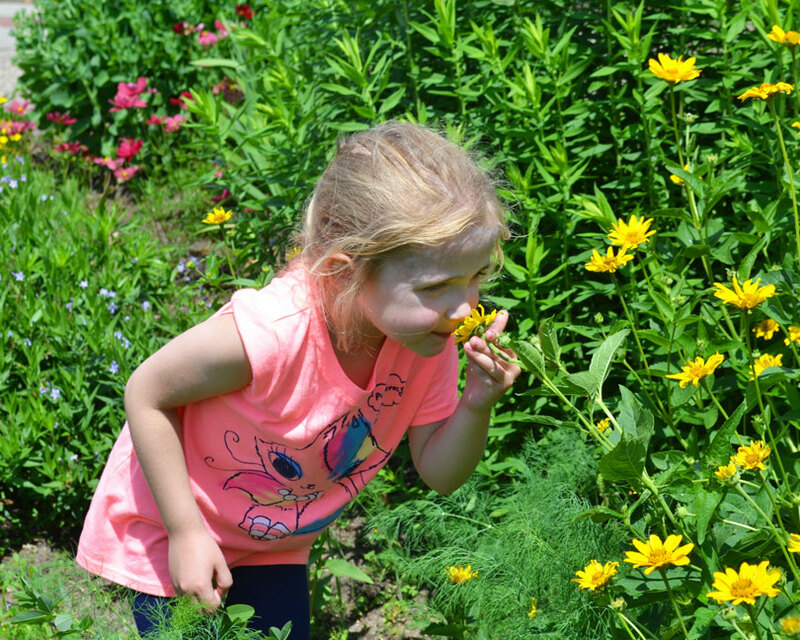 Native plant gardens are great places for kids to learn about nature. This visitor to the native plant gardens at the Como Zoo in St. Paul is examining ox-eye sunflower (Heliopsis helianthoides). Image courtesy of Scott Roemhildt. 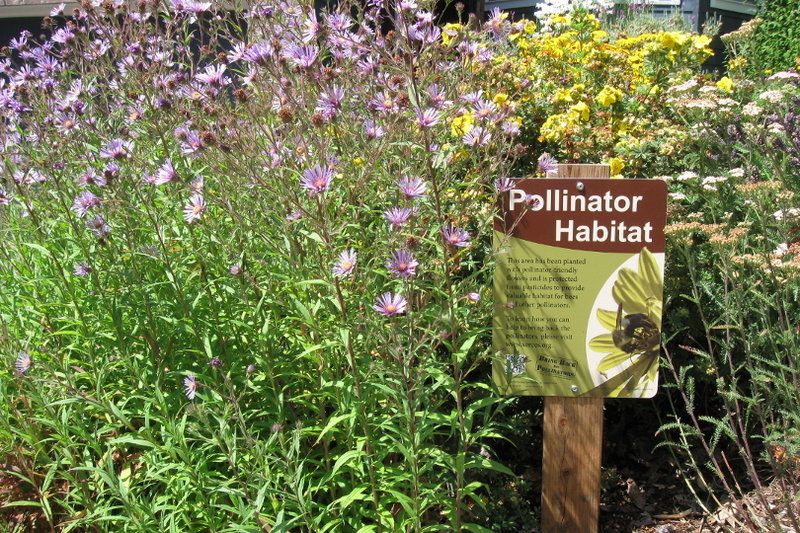 Pollinator garden of mixed native and non-native plant species featuring a pollinator habitat sign. Image courtesy of Matthew Shepherd, The Xerces Society for Invertebrate Conservation. 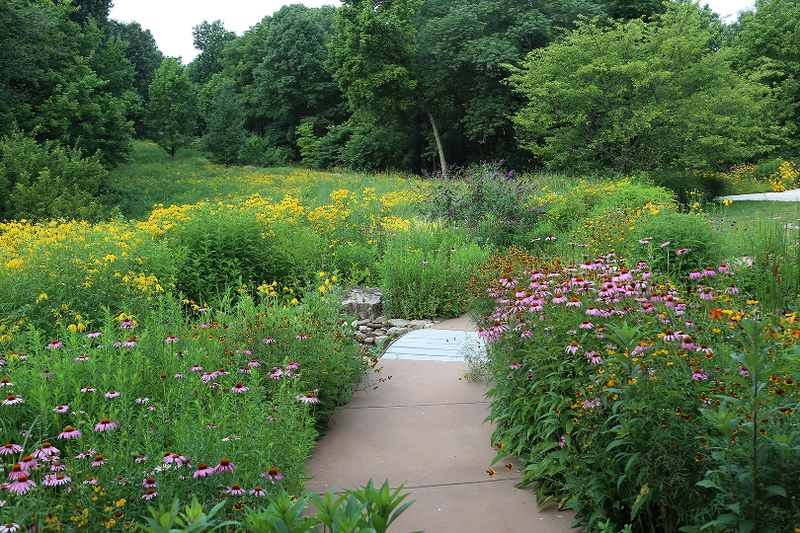 Native prairie garden adjacent to woodland edge, with foot path. Image courtesy of Chan Mahanta, Wild Ones. 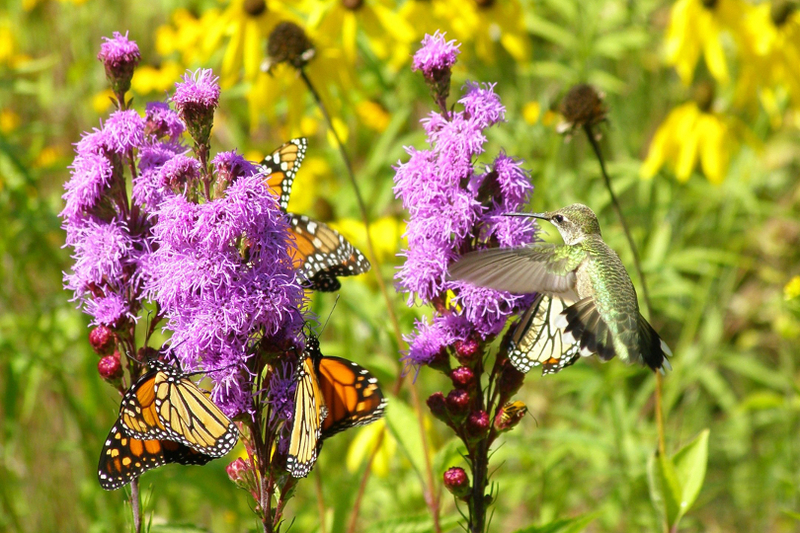 Monarch butterflies, soldier beetle, and hummingbird nectaring on rough blazing star (Liatris aspera) in a native prairie garden. Image courtesy of Debi Nitka, Wild Ones.